When Netflix released the second season of Orange is the New Black, I was a pregnant and exhausted stay-at-home mom. So I may have put on an extra episode or two of Doc McStuffins for my three-year-old son so I could sneak into my room and watch just a little bit more of the highly addicting show about crazy incarcerated broads. And then I remembered Leanne, the blonde with the splotchy skin. I have searched and searched for a picture that really shows off her plagued skin, but I haven’t found it yet. I may just have to watch the whole season over again to find one for myself! But if you’ve seen the show, you’d probably agree with me that the poor girl is suffering from seborrheic dermatitis. Leanne Taylor is played by the lovely Emma Myles, who seems to have much better teeth and skin than the meth addict she plays on screen, as you can see in the above photo. 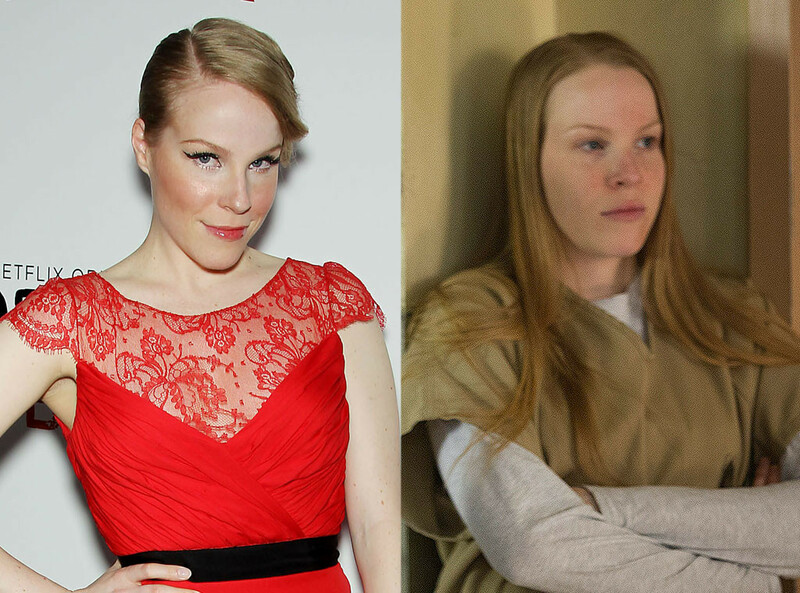 In an interview, makeup artist for OITNB Michal Biggar says, “It’s very important to give all the characters identifying features since they are all in the same drab uniforms.” I think Leanne suffers from seborrheic dermatitis because of the locations of her red spots – on her cheeks near her nose, between her eyebrows and on her forehead. I can’t help but wonder if the makeup team added this rashy look to give her character a realistic look. I’ll bet a woman’s prison would be filled with all sorts of skin conditions. There’s just no escaping seborrheic dermatitis . . . even when I’m trying to relax and watch a favorite show! I noticed this too! It’s getting warmer out and I stumbled onto your blog because I’m getting flaky. Thanks for the tips!